Notes: Clean, solid copy with no writing, highlighting, marks, or creased page corners. Cover shows handling and edge wear, including a small closed tear at bottom front. Softness to corner tips of covers and some pages. Binding is firm; spine has a slight curve from being read but no creases. 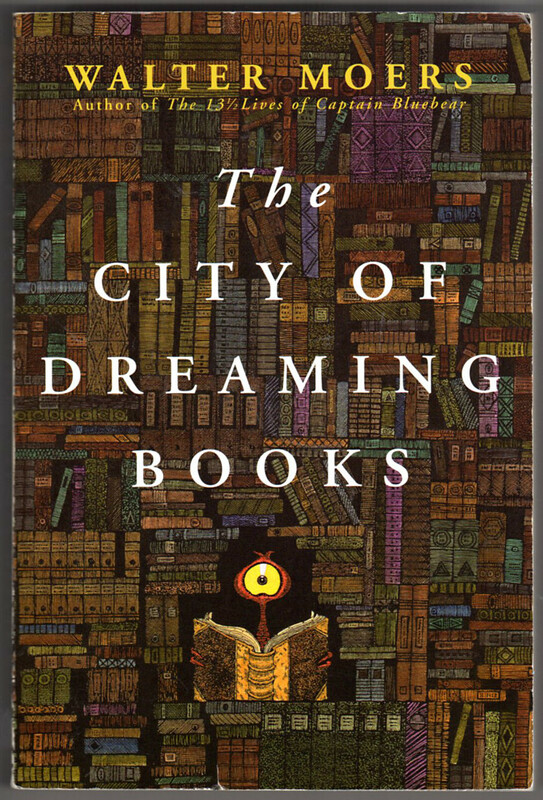 Cover is predominantly brown with an illustration of stacks of books filling the entire area.